*NOTE: We had some feedback that there were volume issues with this episode. We have since fixed the sound and re-uploaded on 05/30/16. Make it so! In celebration of the 50th anniversary of Star Trek, join us for a special two-part series where we discuss each of our favorite Trek films. 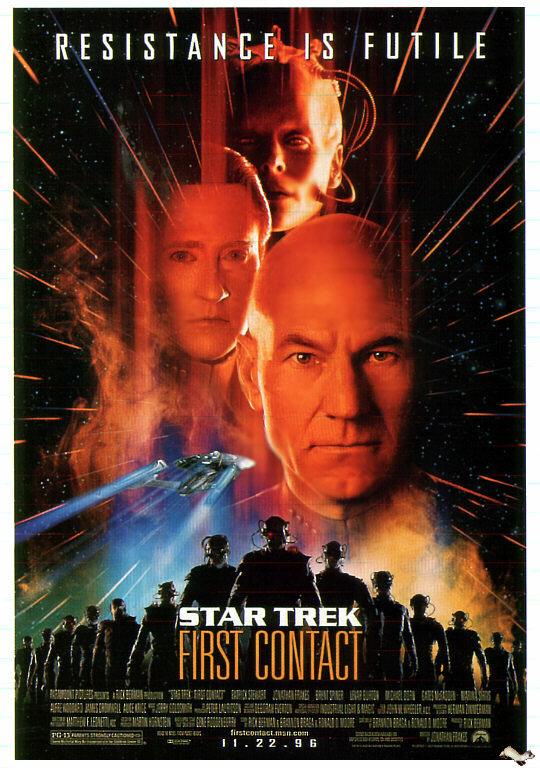 In this first part, we talk about Leasha's favorite, "Star Trek: First Contact." Picard and crew are once again thwarted by the Borg is this action-packed Next Generation film. Can they stop the Queen and her minions from changing history forever? Find out in our deep dive look at the 8th Star Trek film. Engage! Please be aware that this episode contains some mild language.